TORONTO, ON – Left Field Brewery has announced the release of the latest in its series of fruit flavoured milkshake IPAs. Named for one of baseball’s nerdier stats, WHIP Smoothie IPA is anything but boring. This full-bodied IPA is bold and packed with flavour. Juicy peach puree blended with cinnamon spice, brown sugar, creamy lactose, and vanilla are balanced with Equinox and Amarillo hops to create this new fall favourite. 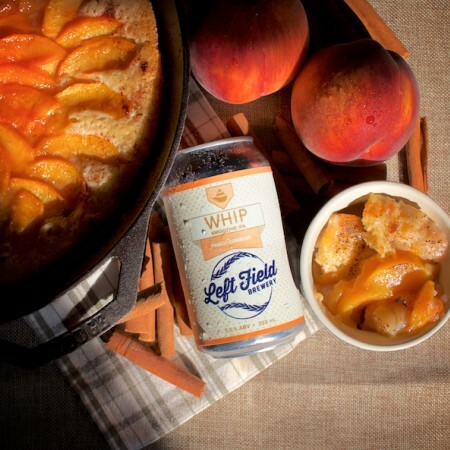 The Peach Cobbler version of WHIP is available now in the Left Field taproom & retail store and online shop.